Winter in the Cape is synonymous with hot chocolate at a roaring fire but in fact it is time to don a warm jacket and head out onto the blue yonder as it just also happens to be the time of the year when Humpback whales are migrating past the Hermanus coastline on their way to warmer waters. These mammoth mammals are known as the acrobats of the ocean, you will fully understand why, when you witness this enormous animal breach (jump) out of the water with agility and true acrobatic form. 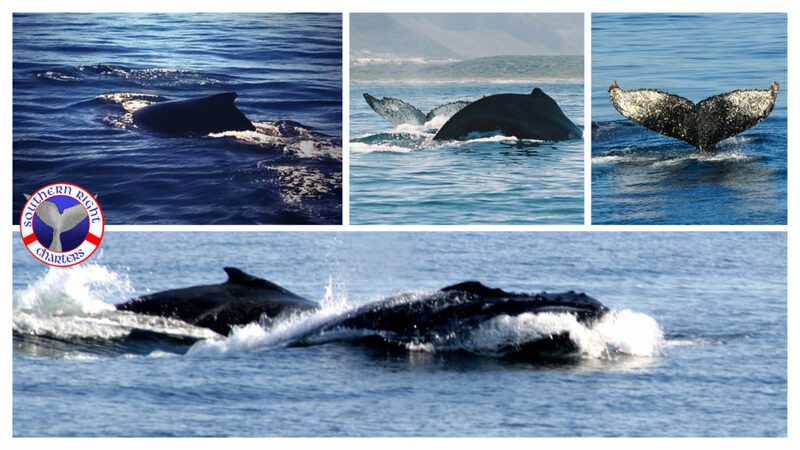 Between June and August sightings of the Humpback whales in Hermanus are common as they follow their migratory path towards their breeding grounds in the warmer waters of the Indian Ocean. The Humpback whale is a Baleen whale, and is further classified as part of the Rorqual family which includes whales such as the Bryde’s whale, Blue whale & Fin whale, the rorqual whales are also gulper feeders as opposed to only skimmer feeders such as the Southern Right Whale. The humpback displays over 300 baleen plates on either side of its mouth. Of all the whale species the Humpback has the longest flippers, with the length of one third of their total body length. The white markings on the underside of a Humpback whales fluke (tail) are unique to each whale, much like the callosities, and a human’s fingerprint. Humpback whales can grow up to 16metres (52ft) with weights that exceed 40 tons.